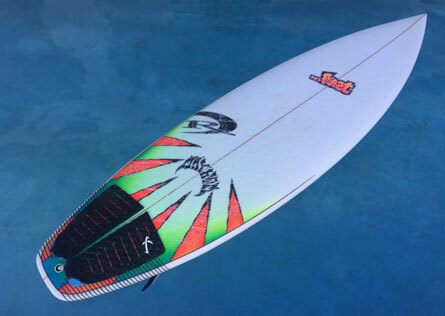 Lost VooDoo Child PU/Poly 5'9"
Part modern, part throwback, the ...Lost Voodoo Child combines pro model high performance with retro accessibility and range. Designed around free surfer Mason Ho, the Voodoo Child fits perfectly into anyone's quiver looking to tear apart small to medium size surf. The ...Lost Voodoo Child is an accessible pro model shortboard that rips for a wide range of surfers and conditions. Comparing this board the popular ...Lost Baby Buggy, the Voodoo Child is as easy to catch waves and surf, but has a noticeably tighter turning radius off the top due to added tail rocker. 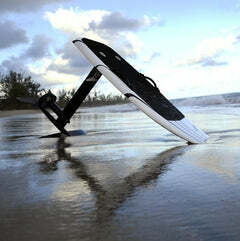 Flatter entry rocker make paddling and gliding through flat spots effortless. The added tail flip make top turns incredibly fun (and addictive!). We had so much fun with these, that we were even stoked with short rides of 1-2 turns. You can throw the tail so hard on this board! The Voodoo Child still has plenty of down the line drive, an area of performance that sometimes suffers with too much tail rocker. The beaked nose adds a touch of thickness forward for better glide and strength against breakage. The thinner rails in the tail give more grip/control in punchy waves and allow you to knife in the tail more easily/quickly on steep drops. Compared to the ...Lost Baby Buggy, the Voodoo cuts loose off the top with ease and offers a wider variety of turn options (like Mason's surfing). The Baby Buggy excels in a wide variety of surf as well, with a bit of an edge in speed and drive due to its more conservative rocker. Even though the Voodoo Child is looser, it's just as easy to surf well as the Baby Buggy, which is one of the key characteristics that made the Baby Buggy so popular. The Voodoo Child scales well down to grom dims. REAL teamrider Kai Wescoat has been surfing his 4'10 VooDoo Child all summer and loving it. Compared to his Pocket Rocket, Kai is noticing the Voodoo to be more forgiving, better in smaller surf and has more glide across flat spots in the wave. For fins, we surfed our Voodoo Child with FCS2 Mick Fannings, Mayhems and Performers. The Fannings and Performer XLs gave it the best drive to offset its off the top looseness. 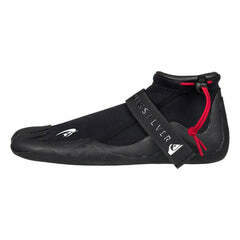 The Mayhems were the best choice to maximize the looseness and variety of turns. The double concave deck gives you the feel of a well worn in "magic board" with added traction and leverage. 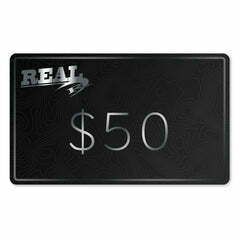 This deck style can be used with or without a tailpad. If you're using a pad, stay away from ones with super high arch bars down the center, as the double concave deck will make that high arch feel even higher. 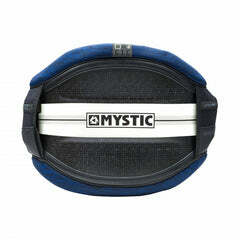 You can also use a flat pad and this deck style will make it feel like a slight arch is in the pad. The ...Lost Voodoo Child is a modern, pro model shortboard designed around the crazy lines of Mason Ho. 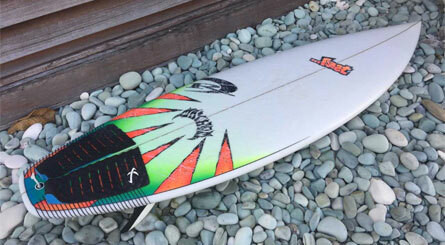 The “ VOODOO CHILD “ ...Mason Ho’s first ever Pro Model. 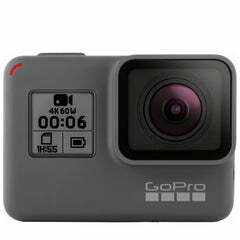 Designed with creative input and vision from the freewheeling, freethinking freesurfer...Mason Ho. 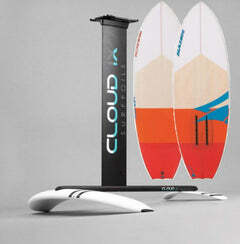 The “VooDoo Child” is Mason’s mash-up of classic and current performance surfboard characteristics. Mason likes effortless forward glide projecting from his front foot, but demands quick and loose release off the tail. To do this we started with a lower than typical nose rocker, a relaxed curve through the center and a healthy kick in the tail. The VooDoo Child features a modern, cutting edge, high performance, concave hull. 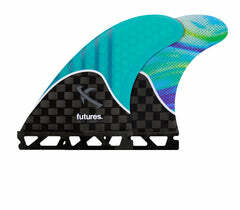 There is a generous single and double concave cutting through curvy rail rocker, with the deepest concave being through the fins, directly under the rear foot. These elements work together to easily generate speed, and whip tight radius carves, still allowing controlled release for tail free surfing. Other elements include a more noticeably parallel outline through the center (for drive) that blends rapidly into a pulled in nose tip. There is a noticeable bump/hip into a wide squash tail, which encourages quick, angular surfing and harkens back to some classic lines from late 80’s design ethos. We built a slight double concave deck into the tail. This helps Mason lock his rear foot in the board (especially with Mason’s typical no traction pad approach) and gives the board that magic “surfed in “ feeling, right off the sanding rack. One thing Mason demanded was a classic, 1980s influenced “beak”nose. Visually pleasing, and a nod back to the days when Mason’s pop (Michael Ho) and Uncle Derek, ruled the North Shore and beyond. It actually helps to carry a bit of extra volume forward into the nose (helping with momentum, a bit of paddle power and lessens risk of breaks ) then rapidly reduces thickness in a stylish way. It works well with low nose rockers, like the that of the Voodoo Child, in reducing the thickness without kicking up the rocker from the bottom. Finally, the rails are modern (full, forgiving and tucked soft) throughout the length of the board, but unlike current trends utilizing a thin square tail block, we foiled the the rails down in the last 12"" of the tail, allowing us to retain some more volume under the rear foot, for stability, and allow Mason to “knife in” the wide and deeply concaved tail block. All in all, the elements combine to not only make a creative expression of Mason’s concepts and interests, but they balance out into an easy to ride, generously proportioned all around short board with post modern and retro chick influences."